Merry Christmas Ken and Sara! Note: I originally published this article in my monthly column in Lake Magazine. 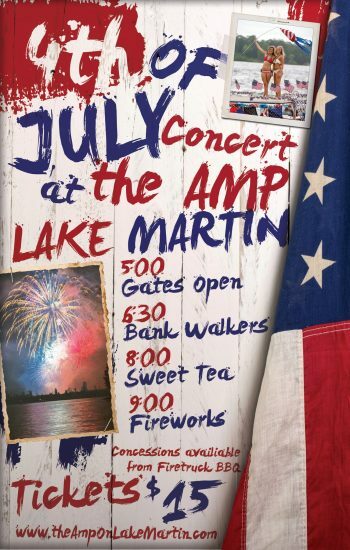 I also published it on my column on al.com – where I am proud to write about Lake Martin Real Estate for AL.com. Bob and Susie Q. Buyer have found a way to buy a Lake Martin waterfront home that will pay for itself! It’s easy money, they think. They have done their due diligence (i.e. watch HGTV) and are ready to make their move. 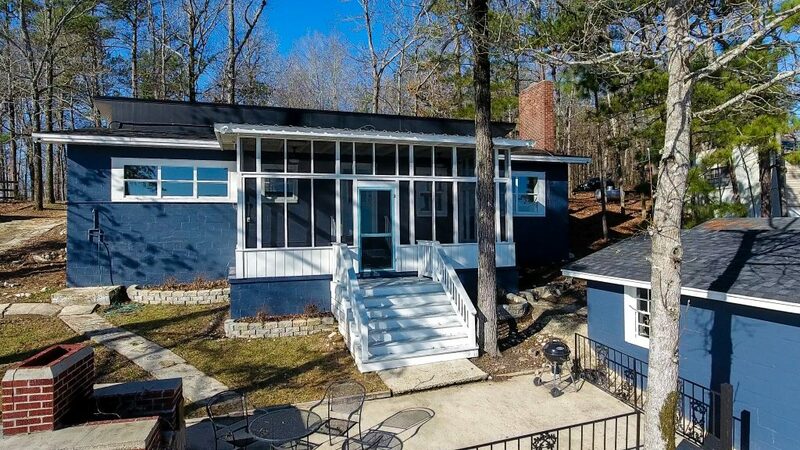 They have found the perfect little Lake Martin waterfront cabin. It’s on a beautiful lot with 500 feet of waterfront. When they noticed that house is crammed over to one side of the lot, it gave Bob and Susie Q. their idea. They buy the home, cut the lot in half, sell the lot, and pay for their entire purchase. I can think of two reasons they will. Firstly, they might need to consider that HGTV is carried on the cable networks of Charter, Com-Link Inc. and Dish here at little ‘ole Lake Martin. In other words, we know how to flip (and flop) here, too. If a deal is that much of a layup, it will likely be scooped up by Adam Smith’s Invisible Hand way before it comes on their radar up there in the big city. Secondly, the biggest reason is that the lot is restricted. Well, I should say that there is a 98% chance it is restricted and therefore they cannot split the lot. 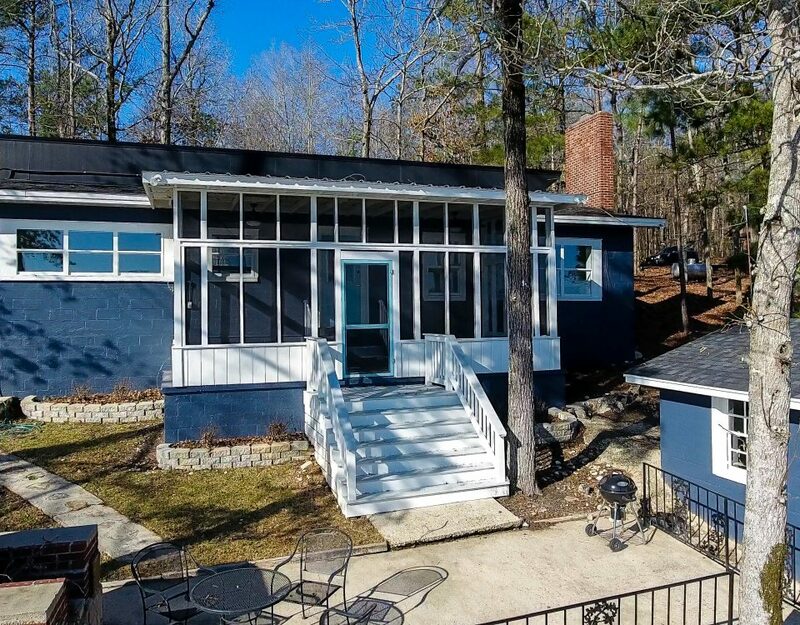 The seller is selling the lot subject to the same deed restrictions which they bought, and at Lake Martin, that means you can’t split it, among other things. Yes, there are some needles in the haystack here and there. But, the last time I looked for a buyer, I reviewed the 100 or so waterfront lots for sale on the lake and only found two or three that were truly unrestricted. If you are unfamiliar with deed restrictions, think about the neighborhood where you live just outside of Gotham. Most neighborhoods have their own set of rules about what kind of home you can build. They might also have rules that state the minimum size a home can be, how close it can be placed to the lot lines, the materials used, or any number of things. Still other neighborhoods have “Architectural Review Boards” which is a committee of residents tasked with making sure all new construction fits the Homeowner Association’s guidelines. These are all “deed restrictions” because they are part of the deed when you bought your house. I hear from buyers all the time that let me know that they want a waterfront lot that is, in their words, “unrestricted.” When they mention that, I always ask them if they plan to split the lot or build two homes on a lot. Usually, they say no. Most of the time buyers think unrestricted refers to controls like architectural review committees. They don’t want anyone telling them what color paint to use on their deck. This also comes up when people want to be able to park their RV on the lot for a few years before they build their home. Or, they even might want to park the RV during the precious few months of home construction. Most formal neighborhoods and county road plats at Lake Martin have restrictions against this. Other buyers might like to put a manufactured home on the lot, and keep it like that as long as possible. Again, it’s equally difficult to find a lot that would allow this. Does that mean all restrictions are bad? If your neighbor split his lot into 30 parts and plans to sell them all to the highest bidders, would you be excited about it? The point here is that each lot buyer must not go around making assumptions. 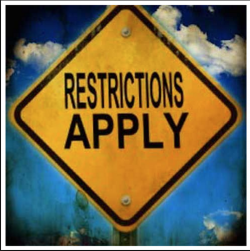 Don’t assume that all restrictions are “bad,” or that any restrictions are “good.” One must behold any deed restrictions with one’s own eye and decide beauty. You verify before you buy. After that, it’s too late. Therefore, a buyer with concerns about when can be done on the lot should include a contingency in the real estate contract to say something like “this offer is subject to buyer’s favorable review of all deed restrictions” or something like that. The buyer should consult an attorney to make absolutely sure. I am not a lawyer, but experience here at Lake Martin has pretty much taught me to never assume. But, if I had to guess, I would say that Bob and Susie Q. Buyer won’t be able to split that lot. I will take a 98% chance any day of the week!